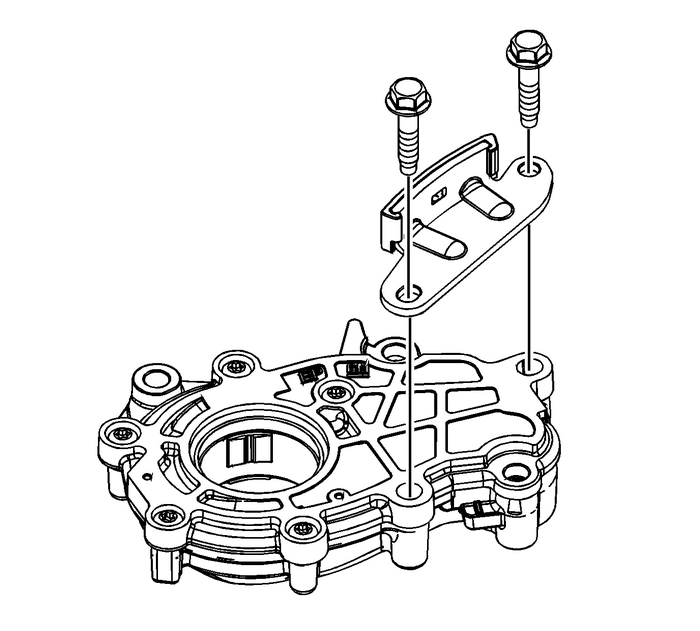 Important:There are no serviceable components within the oil pump.Disassemble the pump only to diagnose an oiling concern. 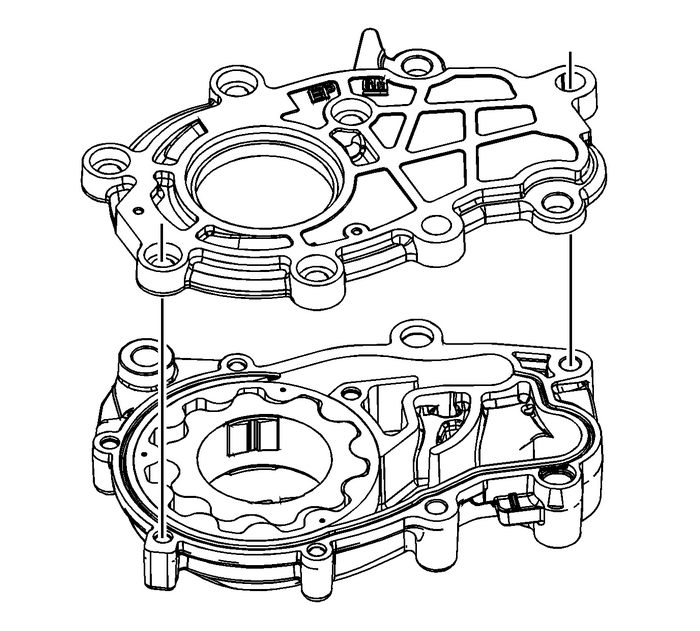 Adisassembled oil pump must not be reused. 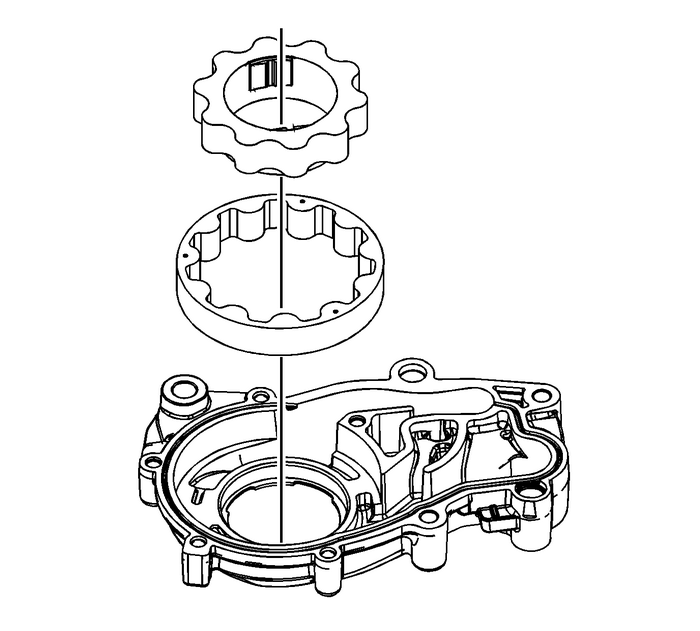 A disassembled oil pumpmust be replaced. 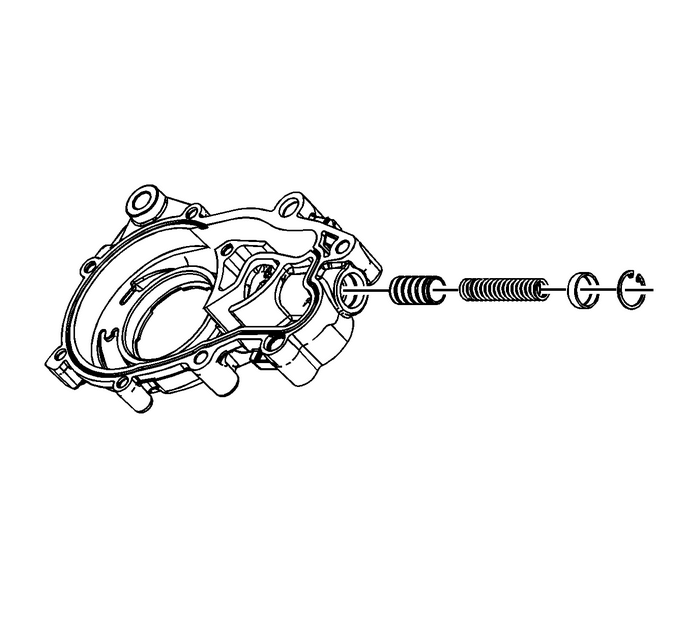 Remove the primary camshaft drive chain lower guidebolts.Remove the primary camshaft drive chain lower guide. Remove the bolts holding the oil pump cover to the oil pumphousing. 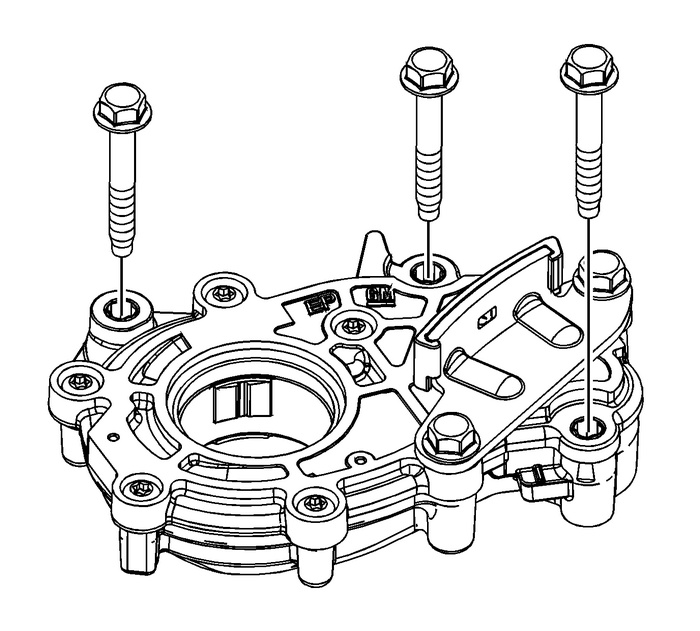 Remove the oil pump cover from the oil pump housing. 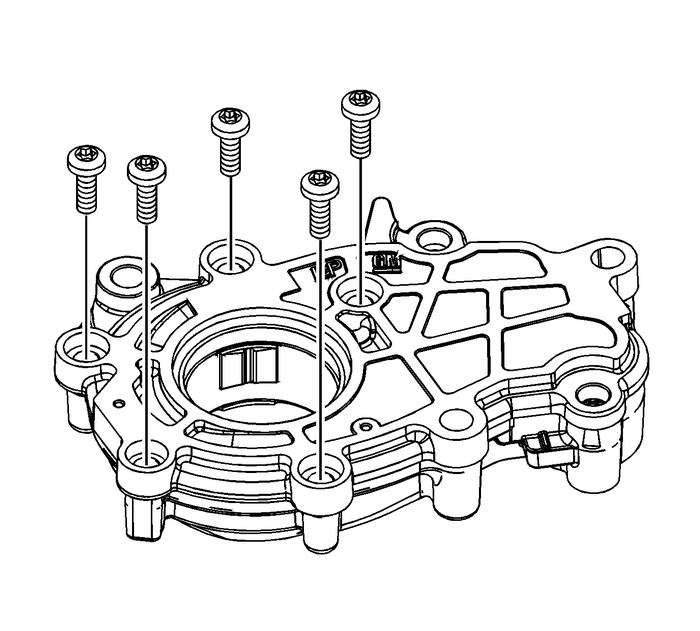 Remove the inner oil pump drive gear.Remove the outer oil pump driven gear. Remove the clip, holding the cap, for the oil relief valvecomponents.Remove the cap, spring, and plunger from the oil pumphousing.